Two-and-a-half years ago, the boy moved to Pittsburgh. It was certainly time for him to strike out on his own, but did he have to go so far away? I thought to myself. I was heartbroken and cried for a solid week after he left. I cannot put into words how much I missed him. But over time, I adjusted to his absence. We talked on the phone a lot; the DH and I made trips to Pittsburgh; I saw him in Moundsville during the illnesses of both of my parents; and, of course, he made trips back to Carlisle to visit his friends. Nevertheless, it was a big adjustment for me. And sweaters are the main topic of this entry, or, more accurately, a sweater. While the boy was here, I asked him if he by any chance would like to have a red Aran sweater. His eyes lit up. 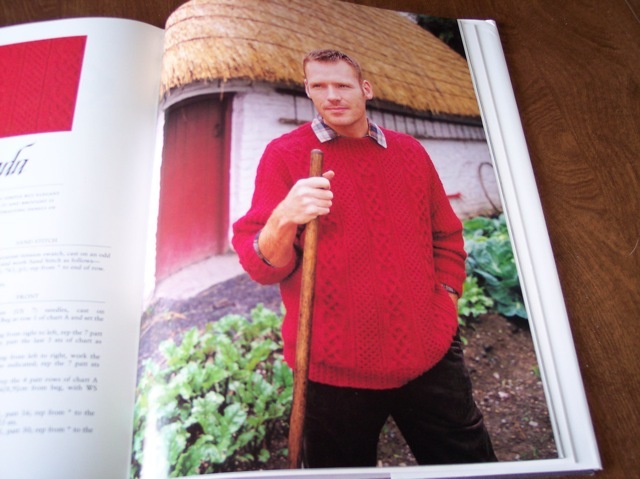 He said that the four handknitted sweaters he already has are plenty, but he wouldn’t mind a red Aran sweater. I was surprised because he had always nixed Aran sweaters before. Then I made him the Traditional Gansey, which he really likes a lot, and now he seems to be willing to wear a “fancy” sweater. and I was astonished when he said that he really liked it. WOW! I’m on cloud nine! I’ve wanted to make St. Enda ever since I first saw it in Starmore’s book. 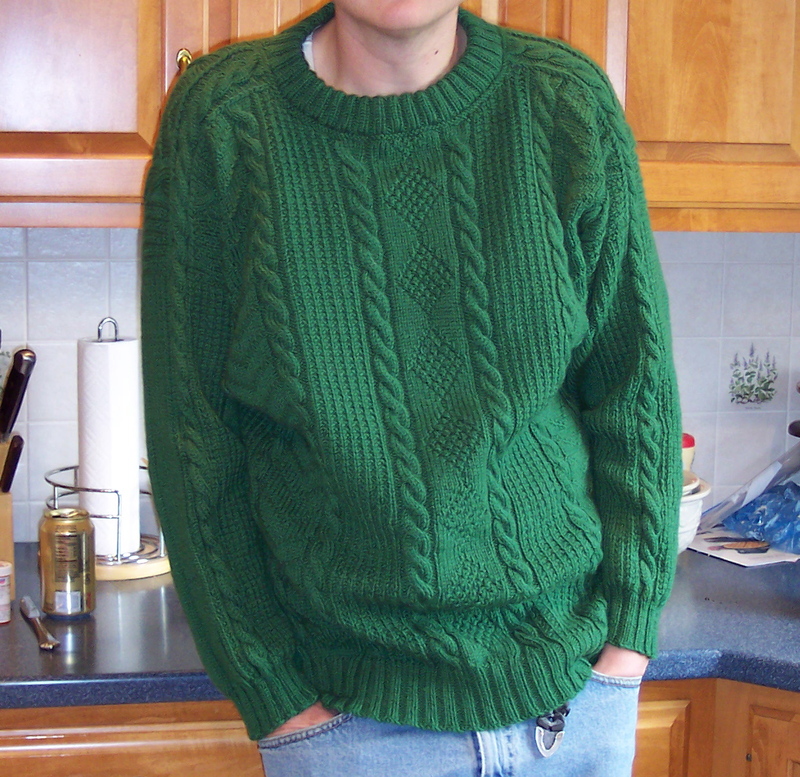 I had planned to make it for myself since the boy never showed any interest in an Aran, and the DH doesn’t wear sweaters, but it is such a lovely masculine design, I longed to make it for a male. 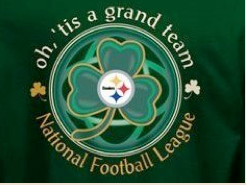 It will look wonderful on the boy. 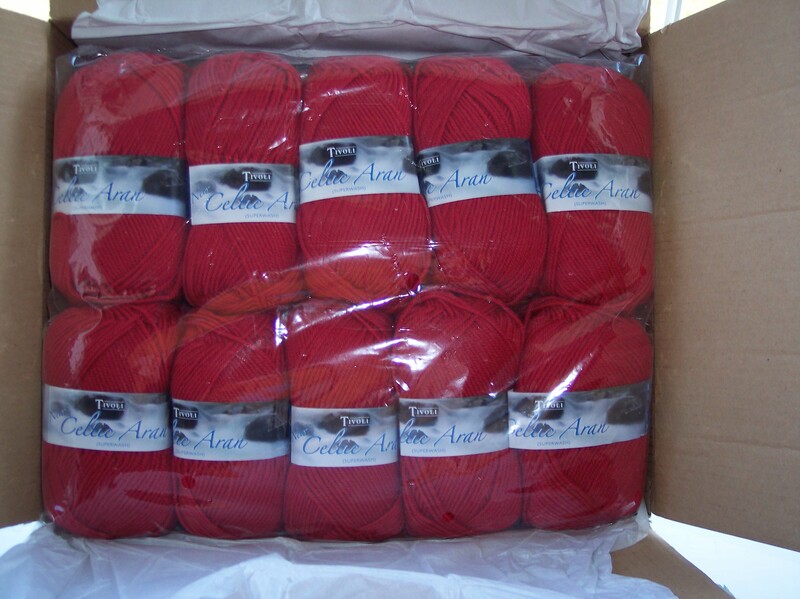 So now St. Enda is first in my queue, and the yarn, all the way from County Cork in Ireland, is in my stash. As soon as I finish Kinsale and Orkney Pi, and maybe Gjende (I’m still procrastinating on that one), I’ll start swatching for St. Enda. The Starmore sweater is knitted flat from the bottom up in pieces that have to be sewn together. I much prefer to construct sweaters from the top down in one piece, so I shall be adapting St. Enda to the top-down techniques in Janet Szabo’s wonderful book Aran Sweater Design. My current plan it to design a top-down, dropped-sleeve Aran with saddles that begins with the neckband and uses short rows to shape the neckline. It shouldn’t be difficult to adapt St. Enda to this technique. I’ve already made three Aran sweaters using Janet’s top-down method starting with the saddles, one of which was the original FLAK KAL where we learned how to custom-fit an Aran sweater from scratch. So I’m confident that I can do this.